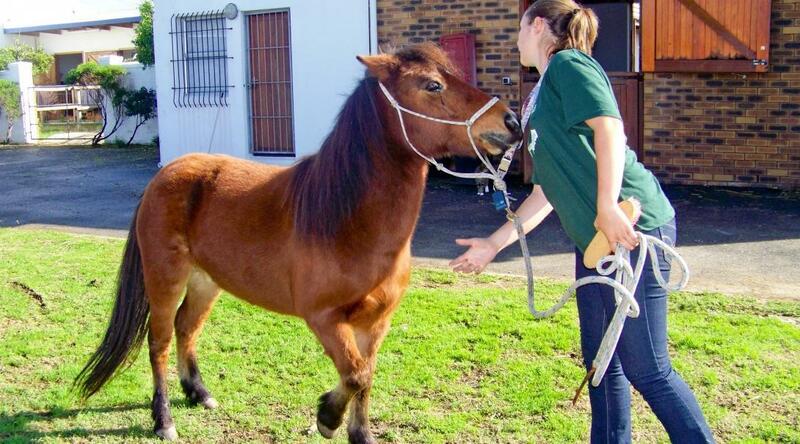 Take part in work experience with children and horses in South Africa. Our Equine Therapy Project is ideal for people who love animals and enjoy working with children. You’ll spend time with disabled children, helping with their horse riding sessions. These lessons form part of their rehabilitation, and help children to develop mental, physical, and social skills. It’s a form of therapy where riders can work on their mobility, independence, and self-esteem. You can help these children achieve their therapy goals and improve their overall wellbeing. It’s a great way to learn practical skills and help people at the same time. Our partner organisation, which runs these therapy sessions, is entirely dependent on interns Without the help of people like you, they can’t organise these classes for the kids who enjoy and benefit from them. You’ll travel to Cape Town and live with a host family who can teach you about the local way of life. There are beautiful surroundings to explore with fellow interns during your time off. Is an equine therapy internship right for me? Are you interested in psychology or alternative therapy practices? Have a love for horses? Enjoy working with children and helping them thrive? If you answered yes to any of those questions, then this project is ideal for you. It’s an excellent experience for those who are planning a career that involves helping others to overcome obstacles. It’s also a great option for those interested in a career working with animals. You can build your CV with this unusual yet fulfilling work experience that will help set you apart from the crowd. We welcome interns of all ages and levels of experience. We provide you with training at your placement, so that you know exactly what you need to do. This project runs throughout the year, except for the local school holidays. You need to stay for at least four weeks, however, in order to join. This will allow you to put your training into use and make a considerable impact. You’ll stay long enough to really witness the improvements of the riders as they develop in skill and confidence. 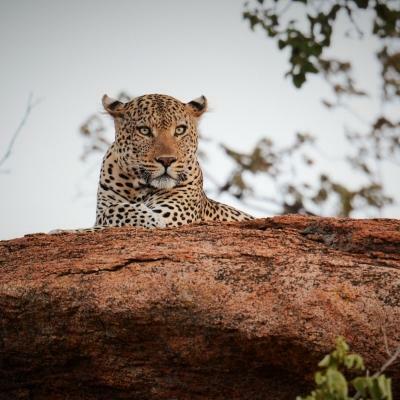 One of the roles you can take on during the therapy sessions is that of “leader”. As the name suggests, you will direct and guide the horse during the therapy session. You’ll give instructions to both the horse and rider, and ensure the animals do what is required of them. Another option is to act as a “side-walker”, which is the term for someone who acts as a helper between the rider and the horse. Your role here is to relax the rider and provide support. You will reinforce the instructions from the leader, and help the rider understand what they are being asked to do. In this way, you’ll build up a rapport with the rider and help to build their confidence. After a day of riding and helping their patients to improve their skills, the horses will need some care too. You will help wherever is necessary, for example, with feeding, grooming, and mucking out stalls. It’s a great bonding experience with these beautiful creatures. Through both observation and practical work, you’ll get to learn more about the different equine therapy techniques. As an intern, you’ll be able to ask questions and learn from the supervisors at the centre. It’s a great way to see first-hand how these different techniques are implemented. We have partnered with the South African Riding for the Disabled organisation (SARDA), which was established in Cape Town in 1973. The centre’s aim is to provide people with disabilities the opportunity to take part in therapeutic and recreational horse riding. This kind of therapy has a multitude of physical, mental and social benefits. SARDA works with children aged six and over, as well as adults. With the help of our volunteers, SARDA serves around 200 riders per week. You will be based in Cape Town, South Africa. Your placement is located in a leafy green suburb. You’ll be picked up and dropped off each day by our trusted transport partner. There is so much to explore during your free time. Cape Town is a vibrant city with amazing views and a rich cultural heritage. You can try out the local restaurants, visit famous historical monuments, or spend some time taking in the natural wonders. After enjoying breakfast at the home of your host family, you’ll be picked up and driven to your placement in a beautiful Cape Town suburb. A typical day on the Equine Therapy Project runs from 8.30am - 5pm, Monday to Friday, with a break for lunch. There can be between two to six classes per day. The schedule varies according to which groups, schools, and individuals have booked sessions. Sometimes there are last minute cancellations, so you need to be flexible. Classes last for an hour, including saddle up time. Your exact role will be determined by the supervisor, and is based on your confidence and level of experience. Each class has around eight riders, along with their instructors and helpers. 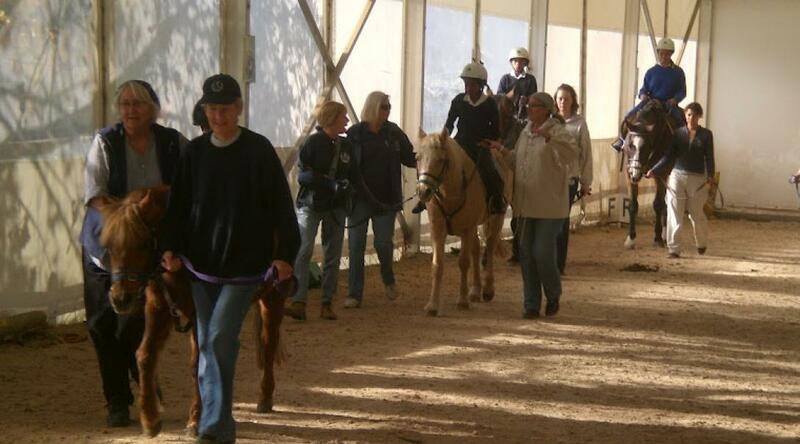 Children aged six and over from special-needs schools around the city come to the riding centre on a weekly basis. All in all, the centre serves around 200 children per week. Apart from the therapy classes, you’ll also assist with the care of the horses. Spend some time nurturing these beautiful animals, helping with their grooming and feeding, for example. Once you’re done for the day, it’s time to explore your new host city. 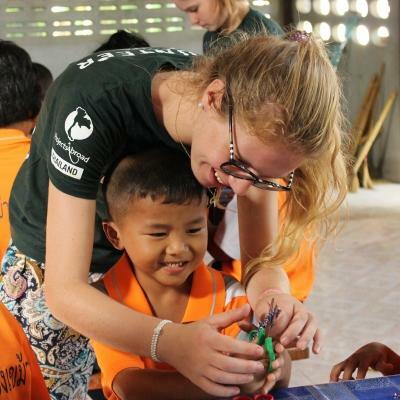 Get to know your host family over a delicious dinner, or explore the city with fellow volunteers. 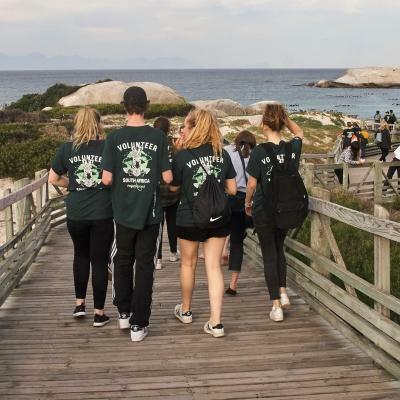 You can join in on our regular volunteer and intern socials and activities, like climbing Table Mountain together or visiting Robben Island. This is a great way to make new friends from around the world, and get to know our staff members. The aim of this project is to help disabled children with their rehabilitation through equine therapy. We also want to create an environment where you can learn new skills and gain experience. 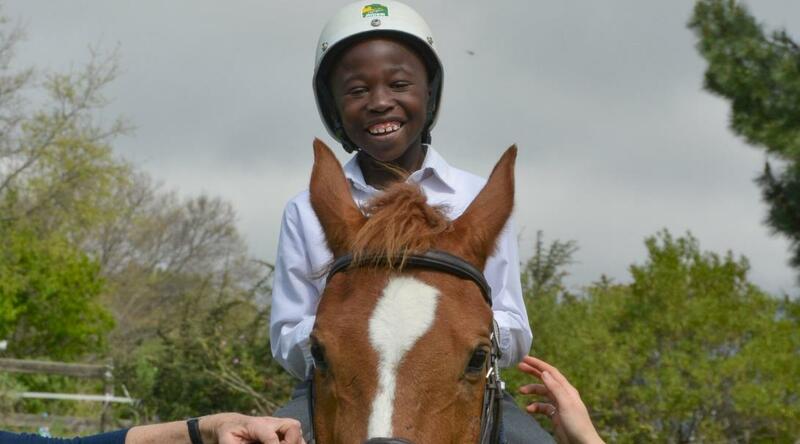 Each week our partner organisation provides free riding lessons to 180 riders from 13 special-needs schools in the Western Cape. The Western Cape Association for Persons with Disabilities reports that 82% of those with disabilities live below the poverty line. Many of the children who attend the centre would otherwise not be able to afford or have access to this kind of rehabilitation. Not only do the horse riding lessons help to improve their physical abilities, but they also have psychological benefits as well. These include improved self-esteem and independence. Most of all, it’s a way for children to have fun and engage with the gentle animals. 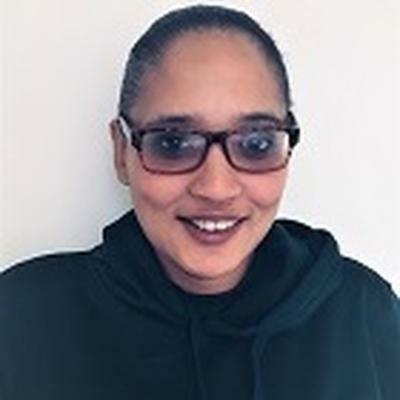 As these lessons are free, the organisation relies on volunteers and interns to ensure they can continue these life-changing therapy sessions. 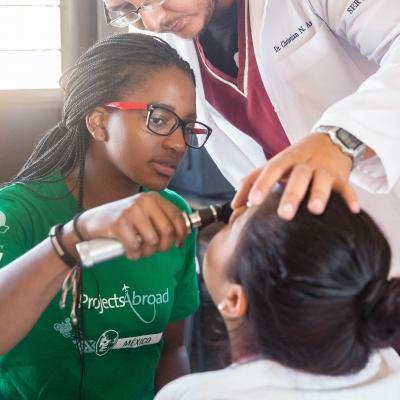 Join an equine therapy internship in South Africa and help enhance the lives of local children.